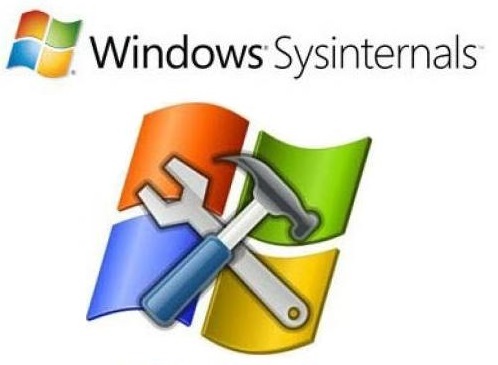 Note: Once this command runs, the Sysmon service is installed, running, and logging to the Event log at Applications and Service Logs > Microsoft > Windows > Sysmon > Operational. [testmachine1]: PS C:\Users\admin1\Documents> cd ..
[testmachine1]: PS C:\Users\admin1> cd ..
[testmachine1]: PS C:\Users> cd ..
You also have the option of using a configuration file, which can further nail down what you would like to log. and to filter captured events. also enables an event, it needs to be configured though its filter tag. You can also find these tags in the event viewer on the task name. will be included except if a rule match. is          Default, values are equals. is not      Values are different. contains    The field contains this value. excludes    The field does not contain this value. begin with  The field begins with this value. end with    The field ends with this value. less than   Lexicographical comparison is less than zero. more than   Lexicographical comparison is more than zero. image       Match an image path (full path or only image name). For example: lsass.exe will match c:\windows\system32\lsass.exe. by all processes except those that have iexplore.exe in their name. 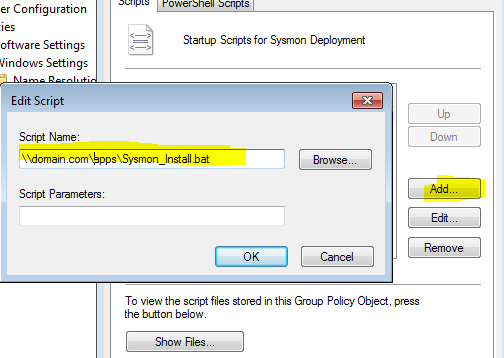 There is a script from "Deploying Sysmon through Group Policy (GPO)" and the process. copy /z /y "\\domain.com\apps\config.xml" "C:\windows\"
sc query "Sysmon" | Find "RUNNING"
Sysmon: how to set up, update and use?